Opening this week, Wimbledon Space hosts international collective Project Trans(m)it who will present Phase Three, an immersive installation and performance created with dancers from four different countries. Founded in 2014, Project Trans(m)it is a long-distance collaboration exploring the intersection of dance and technology. Its co-directors, based in different cities in the US and UK, work primarily online to compose and transmit movement. The collective frequently meets over various digital platforms such as Google Hangouts, Skype, and Instagram, investigating different pathways to “send” movement across the world. Project Trans(m)it’s co-directors are: Rebecca Weber (Coventry, UK), Lora Allen (Philadelphia, USA), Megan Mizanty (Chambersburg, USA), and Andrea Lanzetti (New York, USA). They are all dance practitioners: choreographers, performers, researchers, or educators. 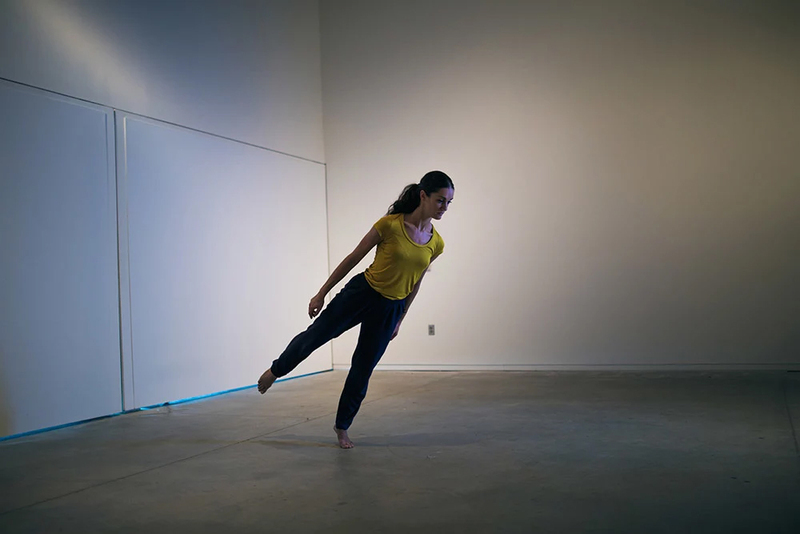 For each new iteration of the project, they invite other dancers and dance institutions to participate: Phase Three includes dancers from five countries across four continents. The installation at Wimbledon Space will consist of multiple channels of video depicting the dance and movement collaborations that the collective has developed. 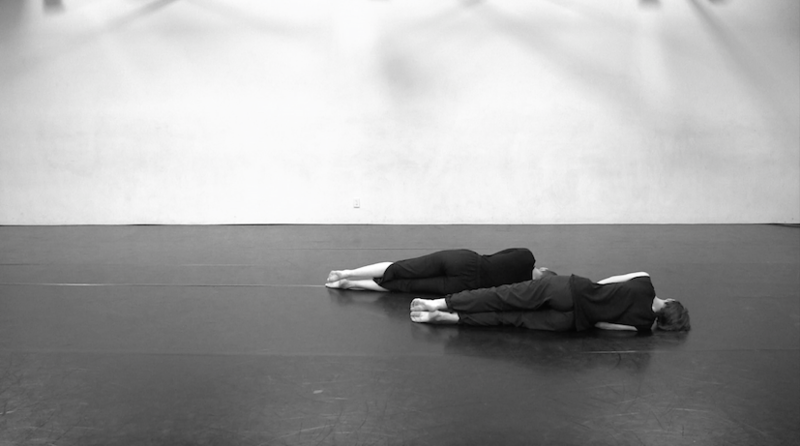 The atmosphere is surprisingly intimate and inclusive, and audiences will be welcome to move freely through the space to examine each transmission and listen to dancers speaking about their creative processes. The size and location of the screens correspond to the distance and location of the collaborating performers, inviting an awareness of their geolocation with regards to this global network of movers. Thus, Phase Three truly is a portal: offering opportunities to explore the literal world where digital performances are made. On the evening of 29 November there will also be a live performance, designed especially for this show, with all the co-directors present. Project Trans(m)it has been in development for a while. Phase Two was a true experiment, with the performers coming together from different countries to dance the work for the first time live at the premiere performance. Phase Three builds on this by broadening the reach beyond the US and UK, incorporating a truly global group of collaborators from Switzerland, Japan, Madagascar, and multiple states in the USA. It begins to question the impact of different cultures, locations, and languages on the transmission process. In essence, Phase Three offers a portal for visitors to see and ‘dance with’ performers from around the globe, whilst staying put in their current physical location. So, are there plans for a Phase Four? Yes! Phase Four is still in its infancy, and the collective has just entered into a new partnership with Harvard Research Fellow Ilya Vidrin. Ilya is a dancer, choreographer and researcher, who has been developing responsive wearable technologies that turn dancers’ touch, proximity, weight-shift and orientation into sound. Vidrin’s technology will be integrated into the development of Phase Four, creating another experiential layer which will allow audiences to access embodied digital connectivity. This technology has been used in performances at the Boston Museum of Art, but never integrated into the kind of multimodal, full performance work that Phase Four will become. Currently the output is sound-based but the collective are looking to explore light and vibration outputs as well in an upcoming residency. Project Trans(m)it: Phase Three runs at Wimbledon Space from 26 November 2018 – 1 February 2019 with a drinks reception & performances taking place this week on Thursday 29 November, 5 – 8pm. Find out more about the exhibition. Book your place at our next Open Days to find out more about studying at Wimbledon.